Fed up of feeling tied to the kitchen sink? 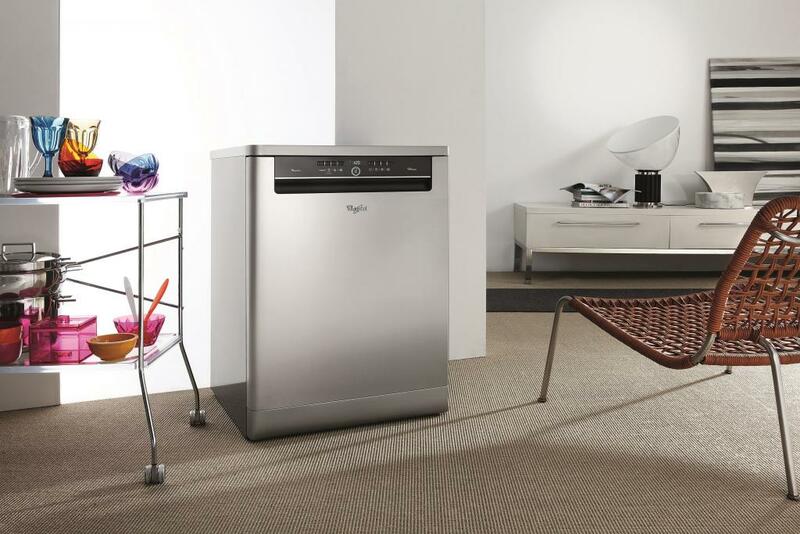 We have teamed up with Whirlpool to offer readers the chance to win a top-range dishwasher that cleans and dries dishes in just one hour. The dishwasher has a clever PowerDry system that washes and dries your dishes, plastic bowls and lunchboxes, in just one hour. And on opening the door, there are no clouds of steam to waft in your face. The dishwasher is also whisper quiet, and with its intelligent 6th Sense sensor technology will save up to 50 per cent in water, energy and time. It’s roomy inside too – with 13 place settings – and it has a handy adjustable upper basket and foldable racks in the lower, to customise the interior to suit your needs. The stunning Whirlpool dishwasher is finished in timeless stainless steel, with a striking black fascia, and will slot perfectly into anyone’s kitchen. Ts&Cs apply, go to candis.co.uk/whirlpool for details. JUST WHAT I NEED IN MY KITCHEN! love to win this prize please. Wow I so need a dishwasher .never had one . Would be a luxury . I would love to be replaced by this prize ! This would be great because my dishwasher is giving away to old age . Would be great! My dishwasher is old now and doesn’t dry anymore. Would be so handy to have and save time. My husband would love me to win this prize – he does the washing up! If I won this I could dump my Marigolds. Ohh yes please love this!! A real thing of beauty! in deperate need of a dishwasher !! My current dishwasher is about to give up! This would be a perfect replacement! My last dishwasher died just before Christmas – I badly need a replacement! Large enough for my family and no waiting for the dishes to dry before the door can be opened. Sounds great. I have never owned a dishwasher mainly because when I’ve saved for one something else has cropped up & I’ve had to use the savings. Would be amazing to have one. Could save me a lot of work. Have wanted a dishwasher for many many years but money is always needed for something else!! Having a dishwasher would be pure luxury! Looks like the husband might be made redundant! About to leave rented accomodation to move into our own house so to win this would be perfect please. I would love this dishwasher as I’ve never had one before. Just what we need ! With a disabled nine year old and three year old twins, my daughter will need a dishwasher in her new house. Fabulous! Just what is needed in this house! What a fabulous dishwasher !!!! Mine’s just leaked all over the kitchen floor…definitely time to replace it. Lasted 17 years though! Thankyou for the chance of winning such a fabulous dishwasher ! my hands are in need of some relief, this prize would be beyond belief. I can picture it in my kitchen now, it would be shiny and bright instead of a dull brown. Just what I need my old one died just before Christmas. My kids would love us to win this as it would save them having to do the washing up. We’ve never had a dishwasher. I’ve never had a dishwasher so this prize would be lovely. Yes please this would be Heaven. time for some nice hands please! What a great prize-hoping to win! I’ve never had a dishwasher, this looks really smart, I would love to win this prize, it would also save my washing up hands. perfect,mine is not rinsing properly. My dishwasher is about to expire so I’d love a new one! Would love to win this for my daughter as she’s desperate to replace her very old dodgy machine and is frightened to leave the house when it’s on! Never owned a dishwasher, to win this would give my husband some free time, lol. This looks very exciting – I have never used a dishwasher before. A quiet dishwasher would be wonderful. Our dog is terrified of the one we have at present! could really make use of this..
A new dishwasher would be great – my old one complains that it ruins his hands. My husband would love to win this!! What a prize! Would love this. Would be great, my old dishwasher is starting to fall apart. Just what I would like! I have never been able to afford a dishwasher so this would be a real luxury. I need this dishwasher in my life! I could do with one of these! Please! This dishwasher looks insane, would be an honour to own it. Thanks so much for the giveaway. Wow, this is superb. I have always been our dishwasher! Family getting bigger not enough hours in the day this is my dream. Please enter my name in competition.Thanks. I need a replacement (replacing me!) – can you enter me for this, please? There’s no question but yes please, I’d love to win! i would love to win-never had a dish washer-this would be great! Another late night at work and too tired to stand at the sink to wash up. A prize like this would be the icing on the cake! Who wouldn’t love it! good luck all. I would love to win this for my Daughter and her Family.Great Prize. My son and daughter-in-law have five children so this would be a godsend for them. I’ve never had a dishwasher, I have dishwasher envy! Just bought our first home – this would be so lovely to win!! It’s time my kitchen was brought up to date and a new dishwasher would be a real lifesaver. What a sleek looking machine..I would love to win one..clean dishes in less than an hour wow! Can’t see a question …..! I would love to win this. My hands need a rest from all that washing up.